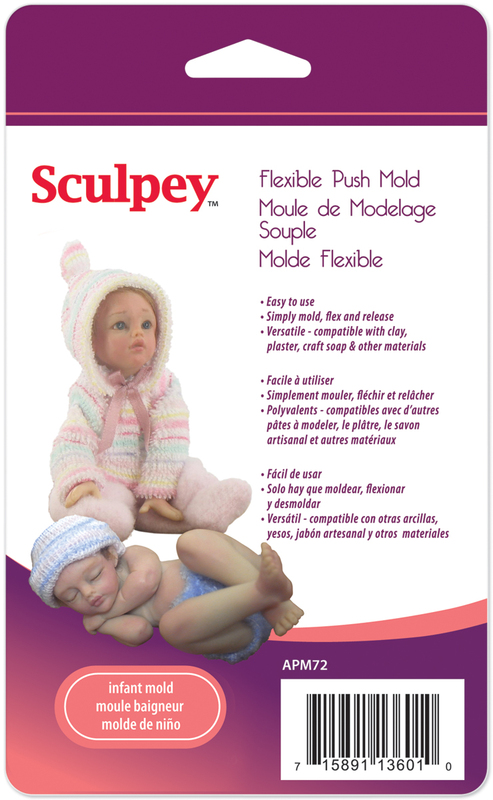 POLYFORM-Sculpey Flexible Push Mold. Quick and easily make detailed jewelry, gifts and items for home decor! Simply Mold, Flex, and Release. Works with polymer clay, air dray and non-dry modeling clays, plaster of paris, craft soap and candle wax! Available in a variety of styles: each sold separately. Imported.